Per seller, no known issues. Boat is ready for the water. Inside stored during the offseason. Freshwater use. **I have not inspected this vessel in person. All information & pictures were provided directly by the seller. Please do not hesitate to contact me with any specific questions you may have, to submit an offer, or schedule a showing. Stock #161153 *** LOW HOURS ON 2016 REBUILT MERC 454 ** TRAILER INCLUDED ** FRESHWATER USAGE *** If you are in the market for a cuddy cabin, look no further than this 1988 Power Play 230 Conquest, just reduced to $13,000 (offers encouraged). This boat is located in Northwood, Ohio and is in good condition. She is also equipped with a Mercruiser engine that has only 60 hours. Reason for selling is no time to use. 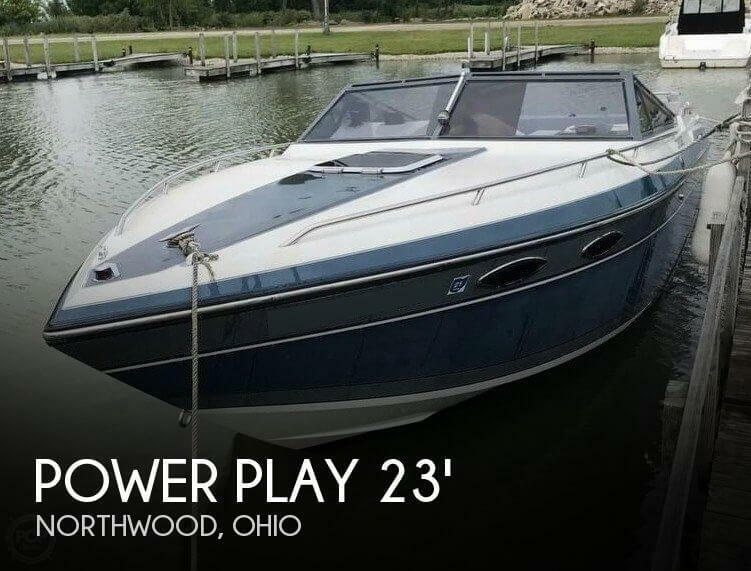 The photos tell the story, this 1998 Power Play 25 Sport Deck is in better than expected condition and has been very well maintained. The cabin and all cushions are in good serviceable condition with no repairs required, and the owner reports the engines and all other systems, electrical, electronic and hydraulic perform to specification. All engine information has been provided by the Seller. Stock #160353 Excellent Sport Deck model with full cover & motor cover upgrades include new gauges Livorsi Controls and custom carpet & new tires on trailer! 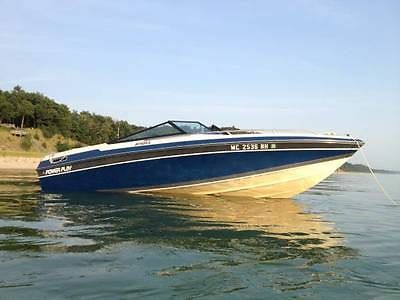 If you are in the market for a high performance boat, look no further than this 1998 Power Play 25 Sport Deck, just reduced to $39,900 (offers encouraged). 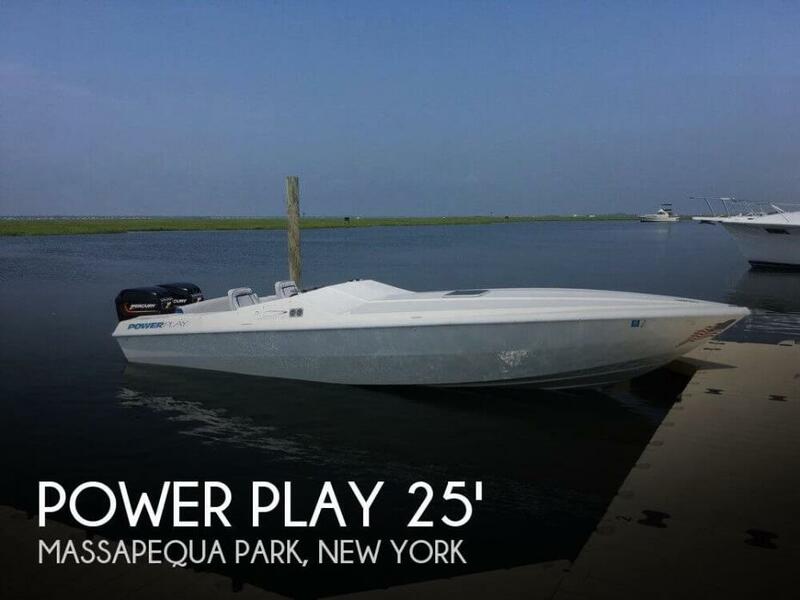 This boat is located in Massapequa Park, New York and is in great condition. She is also equipped with twin Mercury Racing engines. Reason for selling is time restrictions. 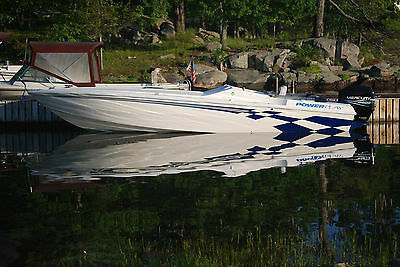 1988 Power Play 185 Integra bow rider. I have owned the boat for the last 5 years, making sure to performance regular maintenance (oil changes & I/O lube and alignments). I just updated the engine compartment and rear bench seat vinyl. Overall the interior is in decent condition for being 27 years old. There are two pieces of plywood in the engine compartment to separate any storage items from the engine, this preventing them from touching the hot motor - These can be easily removed. Runs great and is ready for the water. -5.7 L V-8 with Alpha One outdrive. Outdrive was installed new in 2010. -Stainless steel prop (Also have spare aluminum prop)-Spare battery. -Hydraulic trim tabs, which helps for a comfortable ride.-Always stored inside on a rack throughout the year. -Regular maintenance. -Price includes trailer.-Comes with everything you need for a day on the lake (Life vests, anchor, bumpers, etc.). -Humminbird depth sounder / fish finder that also shows water temp. -Custom cover was purchased/made just for the boat in 2010. For sale presented by Northern Marine Inc. Year: 1998Make: PowerPlay Marine Inc.Model: SportDeckLength: 25'Engines: Twin Mercury 200 EFITrailer: Included - Dual AxleHours: 595Presented here is a very clean and well maintained performance boat; included in the price is a galvanized dual axle trailer as seen in the pictures. The current owner is only the second owner and purchased the boat directly from the factory as it had been traded in for a newer model by the original owner. Available is a copy of the survey from when he purchased back in 2009. As equipped, this boat will run in the 70's powered by two Merc 200 EFI's, 4 blade stainless steel props and Kiekhaefer k-planes included for added stability. The boat also includes two full covers, trailer and mooring, as well as covers for each outboard.